Smart money app is yet another free binary options trading solution. The traders that put together this software claim that we are lucky to have reached their page because it is invite only and that we should leave right now if we weren’t sent here by the author. Basically, this means they are lying to us because their software is available for any affiliate to promote on the click better network. Today I will be providing a review and based on what I see initially I don’t think that it will be positive or time-consuming. 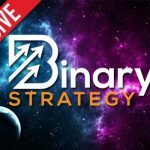 Just like all the other free binary options systems in this market the website consists of the you tube video and a free members area. Right into the you tube video you can see a ticker the claims to be providing us with live results from their actual clients. From the research I’ve done all of the takers that look like this on these free binary websites are falsified and untrue. Considering this developer tells us that the page is invite only and that is proven to be a lie is very difficult for me to trust their judgment. If you close and reopen the website you will see these scripts restart. Another annoying element on the smart money app webpage is the warning above the video the claims there are only X number of remaining spots. If you refresh the webpage you will find that the remaining spots number will increase to its original amount and then slowly diminish over time. This proves that it is just a script used for marketing and not truthful or connected to the software in any way. I’m not going to waste my time or your time spending anymore effort on the smart money app review. This system is clearly not worth our time because the developers are taking it seriously for treating us with respect. If you have something you would like to add to this review I would appreciate it if you left some remarks below. Feel free to send me a personal email at any time by clicking ask John at the top of the website. I look forward to hearing from you and hope that you spend some more time on binary today reading some of my material. I have started to trade binary option in Dec 2014,being told by friend that automatic platforms are a good way to make money. Went to the website and checked it – great video, big show so I tried it average win rate 38%. Over the next view week I check 10 of the auto bot. None worked the best had 45% return. I calculated I would need a minimum return of 54% to break even ( all trades the same amount). I gave up on them. Signed up with traders having 80% win rate. First reduced $30,000 to $ 12,000 in 4 days win rate 38%. Found out his signals came from an auto bot. Second broker started with $20,000.00 all long trades today I m 30% up in 6 weeks, see how it continues. I am looking for someway of minimizing risk which seem the biggest problem with binary option and I look for consistency in the winning rate. I am quiet happy with 60% to 65%, nobody can win all the time. What do you recommend? I subscribed to Marvins Secret but I have not received the down load. All I was looking for is a way or a trading strategy not to make millions overnight . one step at the time is good enough for me. Have background in the markets – long, short, forex , option trading and now binary. The frustration is to protect your capital and to win consistently by cutting the risk. Any advise? From the brokers all I get ” You need more Capital”. What I is a tarding strategy.